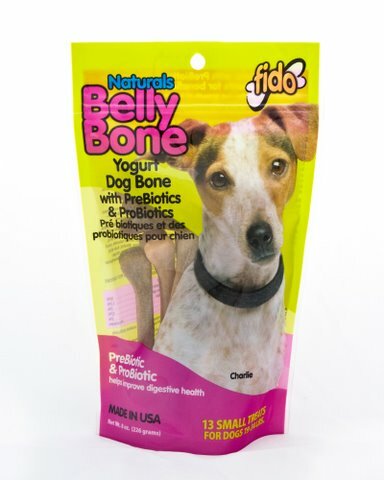 Belly Bones are made with yogurt flavoring as well as prebiotic and probiotic. 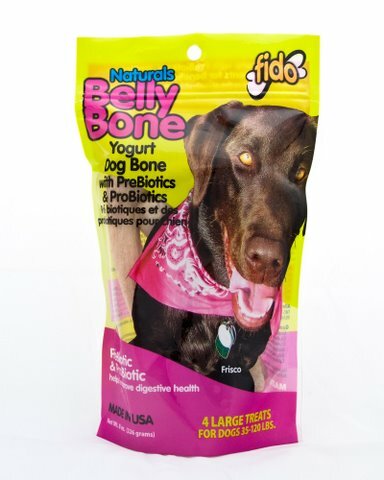 Unique design and chewy texture cleans dogs' teeth as they chew and helps freshen breath. 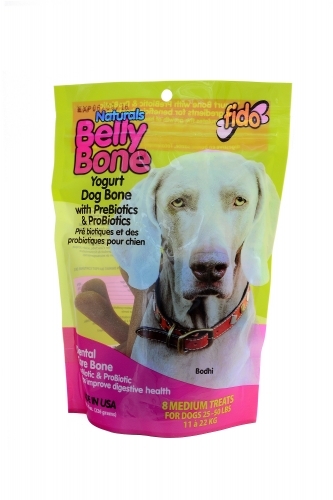 Large = 5-3/8", Medium = 4" Small = 3-3/4", Mini 3-1/4"
Ingredients: Potato flour, rice flour, vegetable glycerin, potato starch, natural vegetable flavor, dried kelp, canola oil, parsley, lecitin, flaxseed oil, nonfat dry milk, lactic acid, citric acid (preservative), fructooligosaccharide, rosemary extract, dried bacillus coagulans fermentation product.